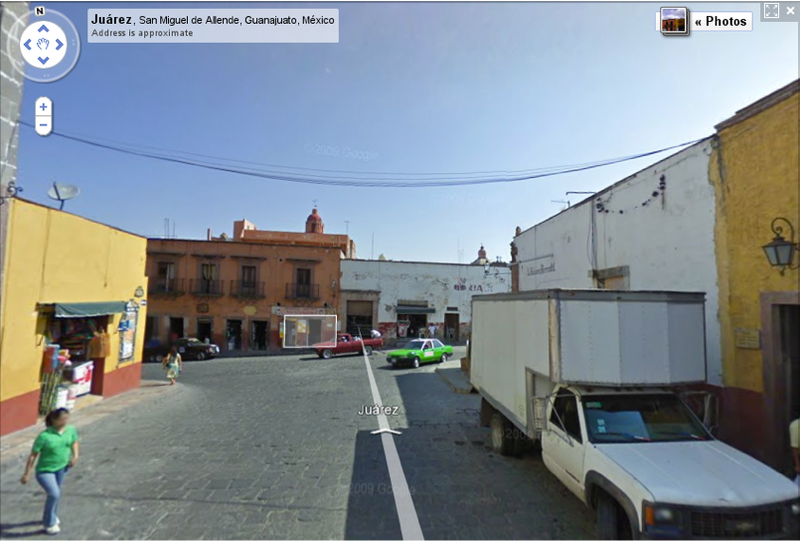 to Street View, which allowed you to jump to a new panorama just by double-clicking on a place or object. Now you can quickly navigate to those images with just a single click. 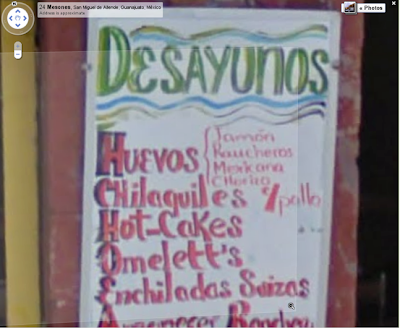 For those of you who haven’t used this click-to-go feature before, notice that as you move your mouse around in a street view panorama, a disk or rectangle follows the cursor (what we call the “pancake”). This pancake not only makes the panorama feel three-dimensional, but shows you where you can jump to a new panorama to get a different view. 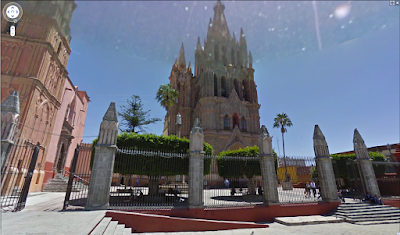 For instance, let’s say you’re checking out the town of San Miguel de Allende in Mexico because you read about the large community of artists and writers living there. 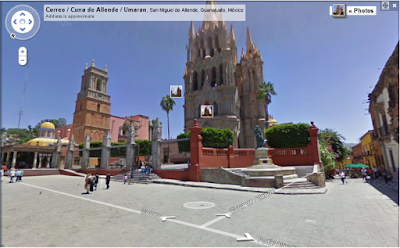 You can get a closer look at the Parish of San Miguel by clicking on the pancake and navigating around the church. 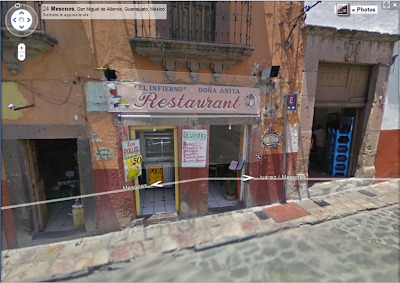 To read the menu at “El Infierno” and see what kind of food they may have, the single click to zoom also applies here. We’ve also made it easier to zoom out. Once you’ve zoomed in all the way, the magnifying glass changes from a plus sign to a minus sign, signifying that the next click will zoom all the way out. QUE VIVA single click navigation! 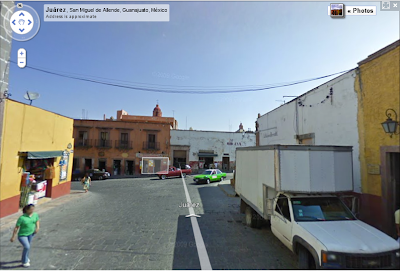 Last year we introduced Smart Navigation to Street View, which allowed you to jump to a new panorama just by double-clicking on a place or object. Now you can quickly navigate to those images with just a single click.